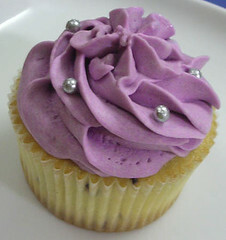 A chocolate chip cupcake with vanilla buttercream - simple but very enticing-looking. This one is beautiful! I love the purple/silver combination.